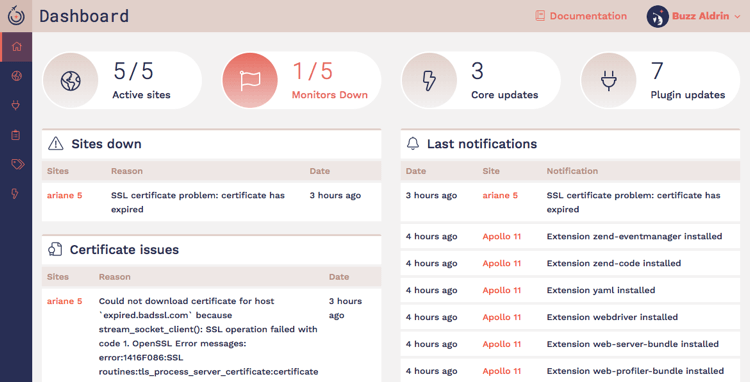 A few days ago, our partner inetis sàrl launched a new service called 1Pilot for managing and monitoring websites based on October CMS, Laravel and Symfony. The service provides great help with tasks that are commonly done manually. In this post we explain why the service was created and how it helps digital agencies with devoting more time to creative work rather than maintaining websites. inetis sàrl is a Swiss digital agency. By the time of the 1Pilot release, they had 25 websites and applications built with October CMS. 10 more websites are currently under development. For the company, it became clear that the increasing website maintenance burden conflicted with their primary work of meeting the needs of their clients. They wanted to increase their productivity by automating the tasks that were diverting the developers’ attention away from more valuable work. The company figured out that if the team was happier and less distracted from the creative process, their clients would be happier with the results. 1Pilot is a service where you can register your October CMS websites and manage them with a user­-friendly dashboard. 1Pilot communicates with your October installations running on any of your servers through the client plugin, which should be installed on the target October CMS systems. Preview October CMS plugins and themes installed on every on of your websites managed with 1Pilot. Remotely install or update plugins on your managed websites: 1Pilot dashboard allows you to add new or update existing plugins from a ZIP file, URL or a GitHub repository. Critical notifications: 1Pilot sends you a notification when a plugin, server software or other key element is altered on the target system. Uptime monitoring: get an instant notification if one of your sites goes down and fix it before your client knows about the problem. SSL certificate reminders: 1Pilot checks the validity of every site’s SSL certificate and sends you reminders 10, 7, 4 and 1 days before they expire. Private plugin updates: connect your private GitHub plugin repositories for one­-click updates. 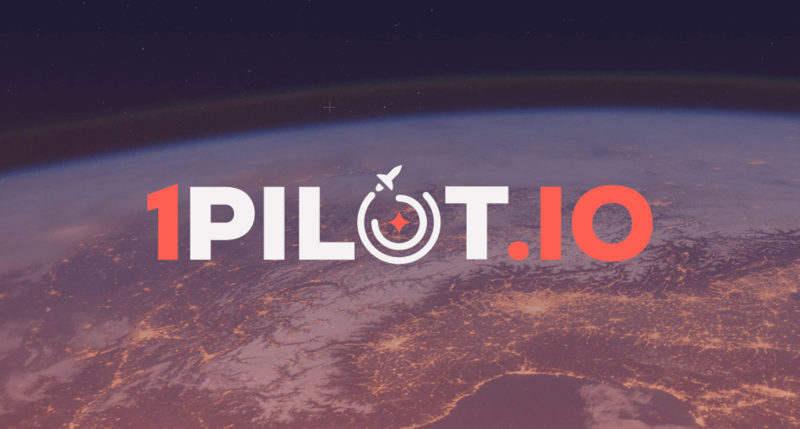 1Pilot watches for new releases in your repository, builds the plugin (installing Composer packages if needed) and makes the update available directly on your dashboard. Server and configuration monitoring: be aware of any alterations to PHP/MySQL versions, or changes in important system configuration files. New notification channels: Slack, webhooks. GitLab and Bitbucket for private plugins. Mail testing: check if the email sending system works properly. Vulnerability monitoring: check if the application uses a vulnerable package. inetis sàrl started 1Pilot as internal project. For a long time, they used a spreadsheet and a database for tracking versions of hundreds of plugins installed on dozens of their websites. With the growth of their client base, this approach soon became very inefficient. The development started in the spring of 2018. The guys used Laravel 5.7 as a foundation for the service and the dashboard and October CMS for the website. During the active development phase inetis sàrl started a Beta program with about 15 testers participating. All the testers are active users of October CMS and they provided a valuable and helpful feedback. From the beginning the developers chose the “eat your own dog food” approach and started to use the service extensively for their own websites and applications. By the release day they were managing more than 30 clients’ websites with 1Pilot. The best way to get started with 1Pilot is to visit its website and to read the client plugin documentation. The installation process is fairly simple -­ you will need to subscribe to the service, then install and configure the client plugin. After that you can log into your 1Pilot dashboard and breathe freely -­ 1Pilot will take on the burden of tedious website maintenance chores. The service is free until February 2019. After that date all new accounts will have a risk-free 15 day trial.